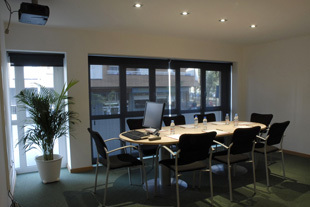 In Optim Business Center we have available a modern meeting room with capacity for 10 people, equipped with the most advanced technology in audio-visual, support material, telephone and fast connection to Internet via ADSL. The personnel of OPTIM BUSINESS will be in charged to advice, organize and to manage everything that you need to facilitate your work, and make your celebration a success. Our Meeting Room will allow you to do any kind of meeting, presentation, event, interview, personnel selection, formation courses, conferences, seminaries, meetings, etc. You will be able to reserve it by half day, complete day or per hour. Add to all this, an ample spectrum of additional services. OPTIM BUSINESS CENTER will make your meeting more pleasant and simpler.